Today, one of the most anticipated games of the year is released in Batman: Arkham City. But this is a toy site, not a video game site. So what does this have to do with you? 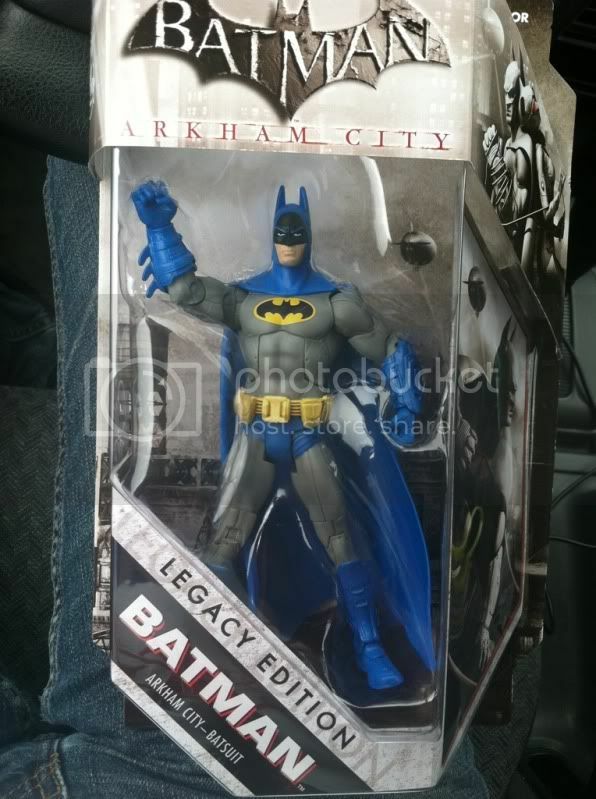 Well, if you buy the game at Toys “R” Us, you score a free Arkham City Batman, repainted in classic Batman colors, dubbed The Legacy Edition. 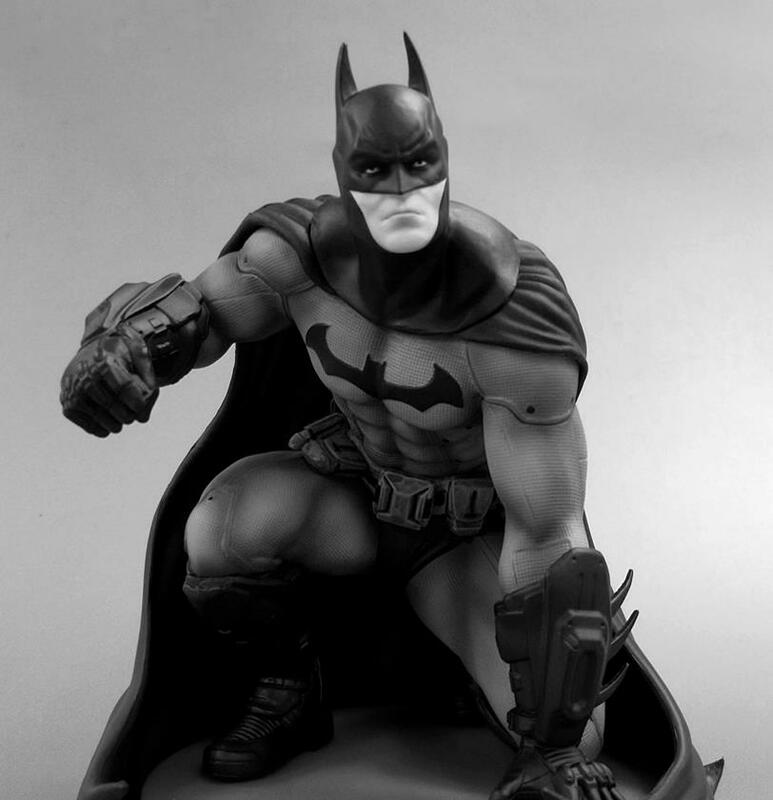 But that’s not all…those buying the Special Edition get a sweet Batman statue created by Kotobukiya. Also, as an added heads up for those heading to Toys “R” Us. If you buy Green Lantern on either DVD, Blu-Ray or the Green Lantern video game, then you get a free Green Lantern Movie Master figure. Check out a few pics of the figures and statue by clicking the headline of the story. Discuss on the Toyark Forums› Views: 9771 › Credit: SwindlesShop and DoBoy of the Toyark Forums! I picked this guy up at TRU during their opening. It was lying there in a clutter of real steel figs. Didnt even know this existed. I want the batman of the furture one !!!!!! Yeah, it's a nice looking repaint. Completely forgot to post this this morning. Thanks for the reminder. Saw them getting them ready last night at a local TRU. 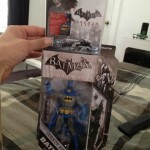 For figure Batman collectors looking to buy the game, the TRU deal is pretty sweet. Also, the Collectors Edition has a Koto statue. Awesome, the asshats at my local TRU refuse to sell them before Saturday. Yours just has them lying around. The only way to get them there is to buy the game, why have it listed as available to purchase in the store then? Grr. *sigh* Nice grab man, hopefully there will be some left by Sat. These have been out on pegs for $15.99 for almost two weeks at my TRU. 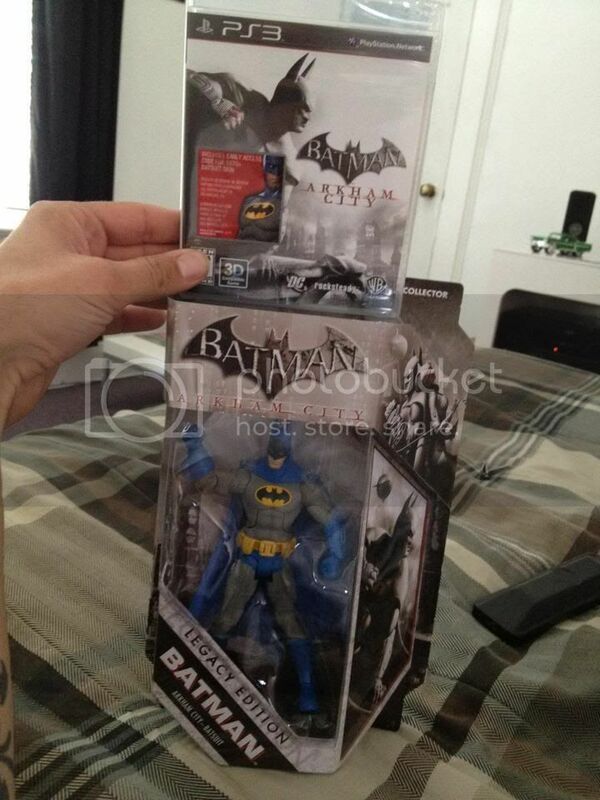 I thought his Arkham suit was darker.. these old school colors are for the birds. Oh your store too? C-ooo-l, my store must just hate me lol. Wait a minute...looks like it uses an all new chest piece! I like the regular edition I think these classic super friends colors look lame and laughable. Got that and Begins on DVD...this was before I had a blu ray player. can u get this figure without buying the game?? I actually saw this on the shelf at tru last week. Shame on me for not making news lol! Saw this figure in person on this weekend and didn't care for it, at all. I think the head sculpt is total fail. I'd take it for free, for sure, but I wouldn't pay for it. yeah, this thing has been out for about two weeks now in my area. i love the look.. i just really really hate the head sculpt. it's so ugly. Idk man, I'm a sucker for the classic suits, don't get me wrong, I like the other one too just, damn me being old I guess lol. I still want to swing by a TRU and pick up the game/figure combo. I'm sure I'll find a friend that'd buy the game from me for $50, so I'll save $5 on the figure. I won't be saving much, but at least I'll get the figure and be able to do something nice for someone else. I think the colors are great! Guess I'm a bird. lol But that suit itself is not classic by any means. Pretty sure you knew what I meant man lol, that colored suit. The blue and grey is classic. Classic suit. Colors lol. Priority. Jeez. I've got one sitting in my "cart" right now. Didn't know Year One was out. 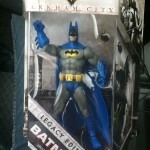 Easy pass since it's just a repaint of Arkham Batman. Nice freebie but one can do without. If I wanted a 70s Bats I'd look for a more cheesy figure. Though in terms of deals it's not bad. Why couldn't THIS be with the Two Face set? That way I can not buy this one and get the one in the Two Face set instead.